Did you know that you can easily code an audio video player with the latest version 0.8.4 of GLSL Hacker ? This is possible thanks to the FFmpeg plugin that can now read audio and video frames and synchronize them. 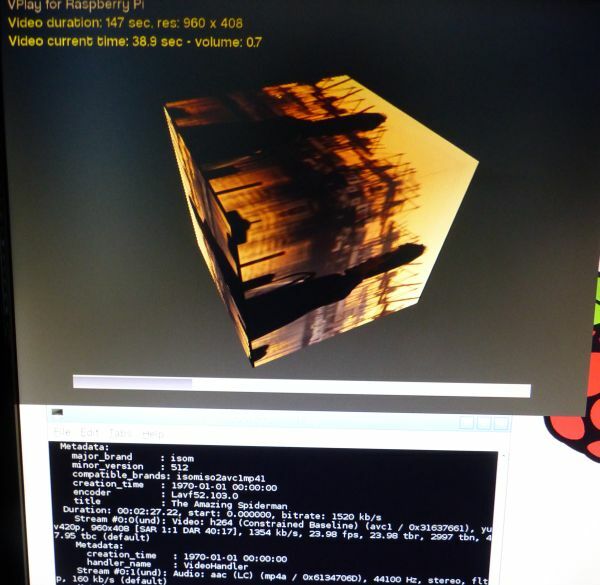 The FFmpeg plugin is available with all versions of GLSL Hacker: Windows, Linux, OS X and, of course, Raspberry Pi. 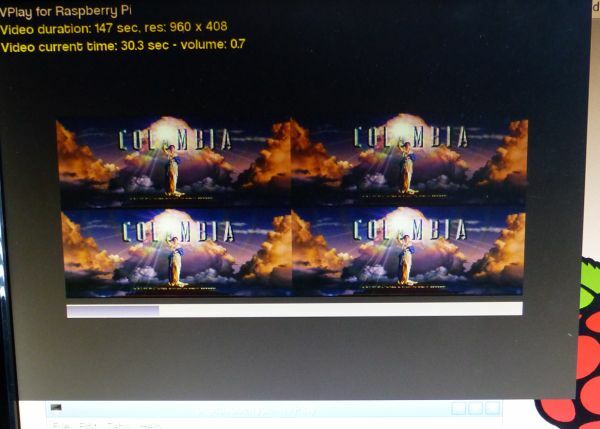 In a word, vplay is a video player based on GLSL Hacker that uses FFmpeg to decode audio-video files, OpenMAX to play the decoded audio buffer and OpenGL ES to display the decoded video frames. 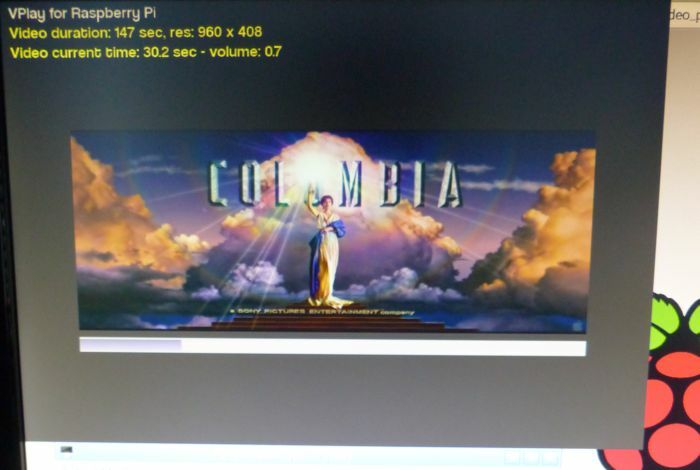 $ vplay /width=1920 /height=1080 /fullscreen /video=\"/home/pi/mykoolvideo.mp4\"
/width, /height and /fullscreen are command line parameters of GLSL Hacker and are not specific to VPlay demo. -- Opening of the video file. -- Creation of a 2D texture with correct resolution (width x height). -- Starting of the audio-video processing thread. -- Binding of the video texture and updating from the current video frame. -- Now the texture can be mapped on any mesh. -- Stopping of the audio-video processing thread. -- Closing of the video file. The full source code is in the archive, so do not hesitate to hack it!